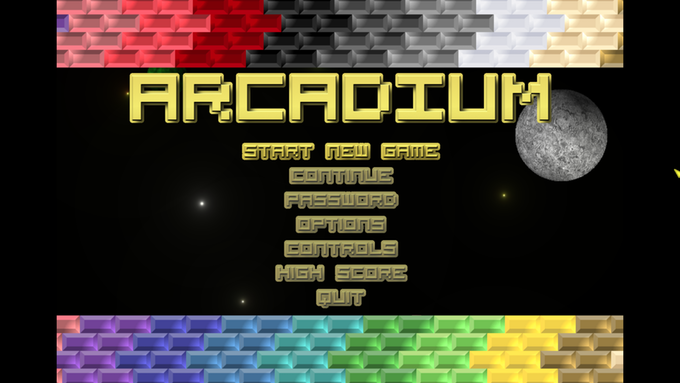 How do you play your game Arcadium? 'Arcadium is played mainly with the mouse to control the paddle. The keyboard is used for the menus. 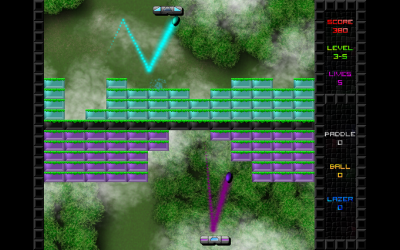 Half of the game is pure brickbreaker action with the goal being to destroy all the bricks in the level. the other half has other goals like destroying enemies, bosses, or competing with opponent paddles & getting the most points or trying to get the ball past them in classic Pong style. What made you decide to create this game? 'Well, as a kid growing up in the late 80's and 90's I remember playing Arkanoid and similar games like Traz and Krakout. I always liked those games & i wanted to create something that connected me to my childhood and the retrostyle. What did you build the game in ? 'I am making this game in a program called Game Maker which is really easy to use and great for both beginners and more experienced programmers. If you don't know any programming language and just want to have a quick start at making an easy game or just try and experiment with it then you can use something called the Drag and Drop (DnD) commands which don't require any coding. What's the game development process been like? 'When I first started on this game I did not think it would take that much time to finish, maybe a couple of months at most. However, I have learned that making games always takes a lot longer than you think since I have worked on this game for over a year. What is your plan for the music & what do you think of the tracks? 'The original idea was to have a track for each section of the game and I think I will stick with that. I also want a theme for the boss and a final boss theme as well as an introduction song and a song when you beat the game. I have enjoyed working with you and I am really greatful that you showed interest in the game and wanted to help me out with the music. I also appreciate all the help with the marketing and I hope that this article will help make more people interested in my game as well as your music and your talent as a composer. That's really great! Now a bit more about you - would you want to work in a team? 'Working in a team would speed things up a bit but I think I prefer to work mostly alone with my games since I want to be free in doing the kind of games that I like and not having to compromise on anything. 'There is sometimes the problem of motivation! Sometimes I feel like working and other times I am not so motivated! I guess it depends on what I am currently doing, since some things are really fun to do & others things are boring but they are all necessary in order to make a good game. 'I was born in Sweden & grew up there with my mother & two brothers. I have always been quite calm and never wanted to draw attension to myself. I have always liked to play games both board games and video games. I remember that my oldest brother used to own different computers like the Commodore 64, Atari and Amiga 500 & I loved to play computer games whenever I got the chance. Back then you used floppy discs that contained the games which you input directly to the keyboard. I guess the computer was built into the keyboard since there existed no hard drives then. With the Commodore 64 however, it was even more primitive as you had all the games on cassette tapes, which you put into this thing that looked like a tape recorder with a three digit number that was always set to 000 and went to 999. You had a cassette tape with games and all the games had different numbers, so if a game had the number 073 for example you had to wait as the tape recorder slowly began rolling from 000 and upwards one number at a time. But, it stopped each time it reached a number where there was a game, so you basically put the cassette tape in and then played the first game it stopped on and then continued on until it stopped again and so forth. I also remember the startup screen - it had a lightblue background and white letters and everytime a game was loaded you had to type "Run" to play the game. I know that all of this sounds like the stone age compared to what we have now but back then that was the reality & no one thought it was slow or clumsy then! When it comes to me becoming a game developer it all started when I was on vacation with my family. We bought this magazine called 'Retro and Retro Gaming', which had articles about the gaming industry - how it all started, old games from the 70's, 80's, 90's and early this millennium. I found it fascinating to read about people who founded great companies who made computers like the Commodore 64 and Atari and also people who worked with making games and how the process was and what they said about games. Arcadium sounds awesome! Let’s all go and support it’s development now on Kickstarter. About the author: Ninichi is a game music composer and created the soundtrack to Arcadium (amongst other games/films/media). If you need some music for your game or project, contact me to explore working together now! 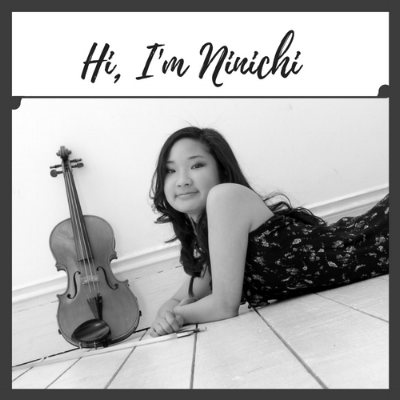 Learn more about me (Ninichi) and listen to some of my game music. If you like cats and you like games, you will absolutely love Shakey's Escape! I'm really excited to introduce you to this amazing and fun game created by super talented game developer Rob White. I've had the privilege to have connected with him and to have been involved on the music side to this truly wonderful game. Let's get to know what's all about! a few weeks ago, i was delighted to have connected with Michael Mchugh - an indie game developer, certified unity developer and virtual reality/augmented reality enthusiast.